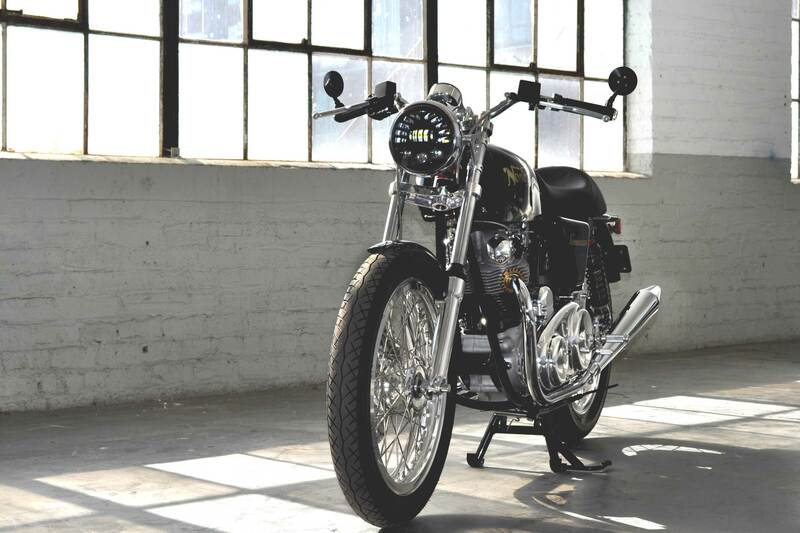 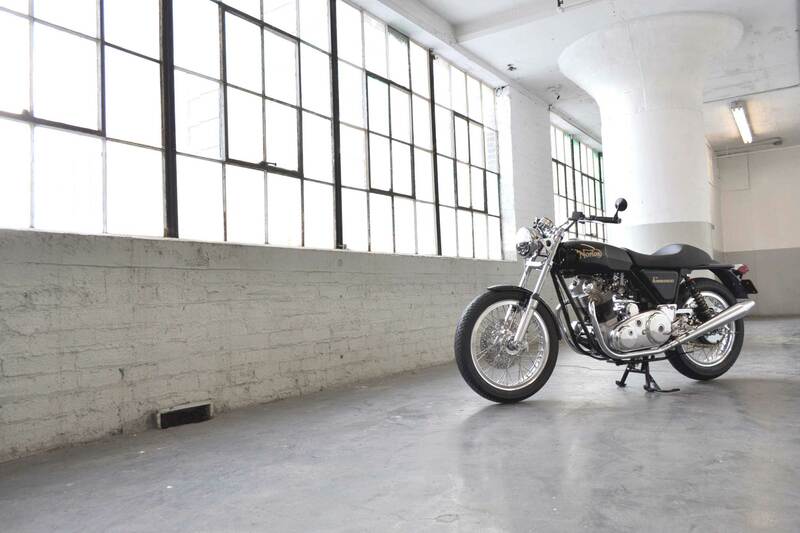 One of our favorite bikes to come out of the shop in the last months. 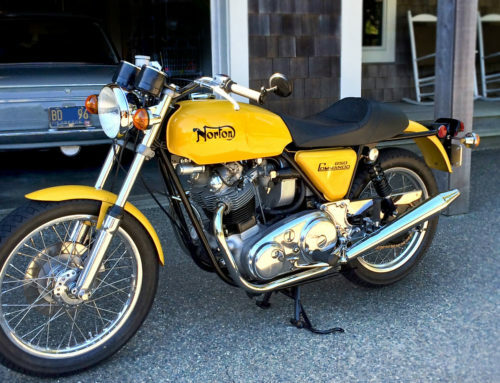 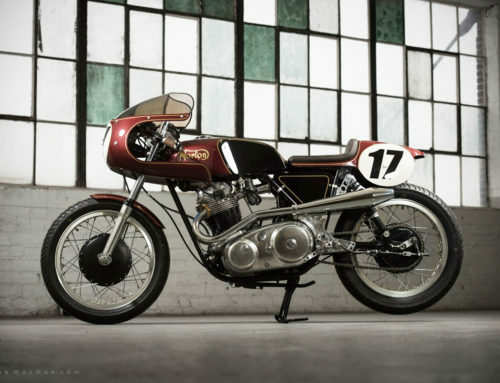 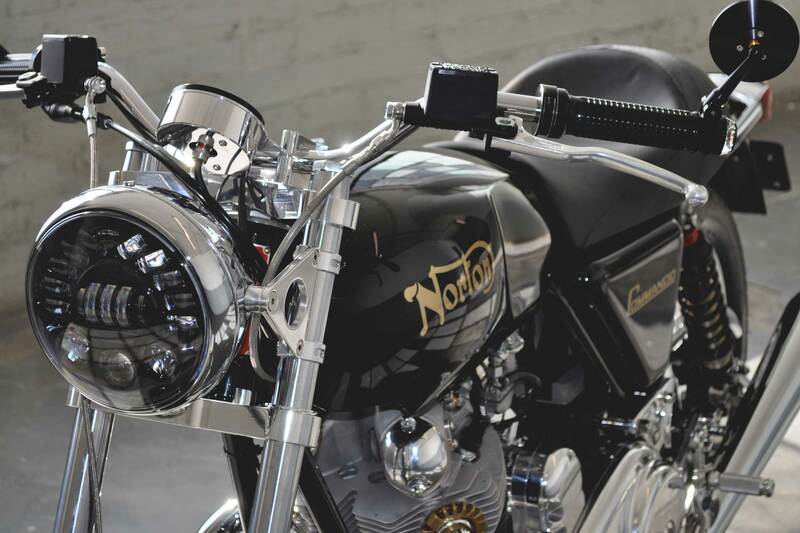 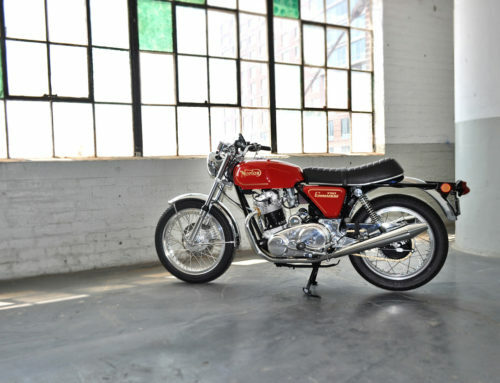 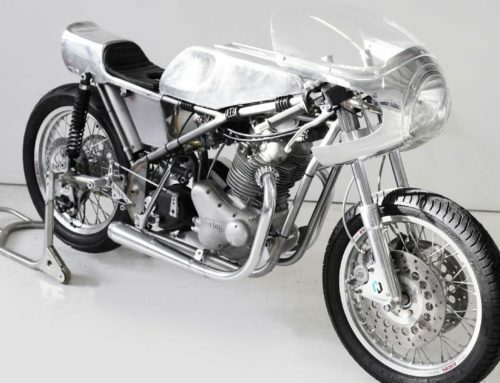 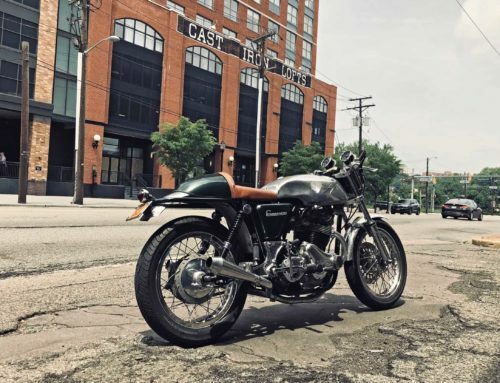 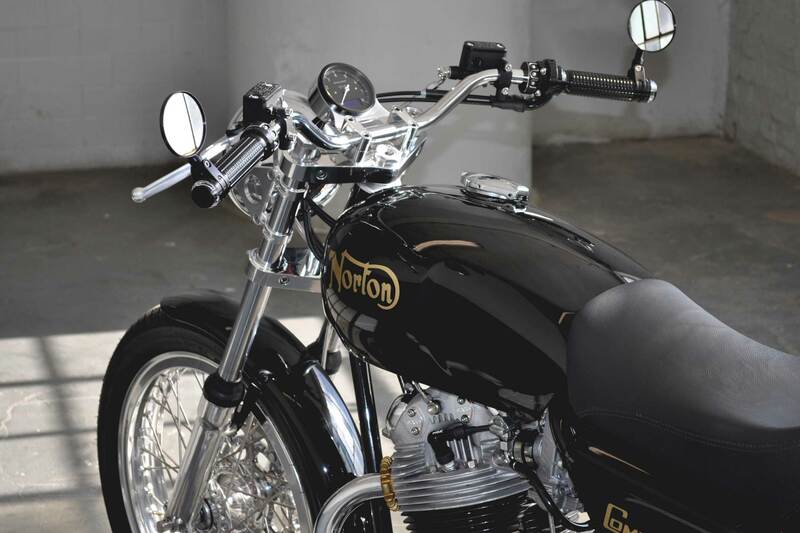 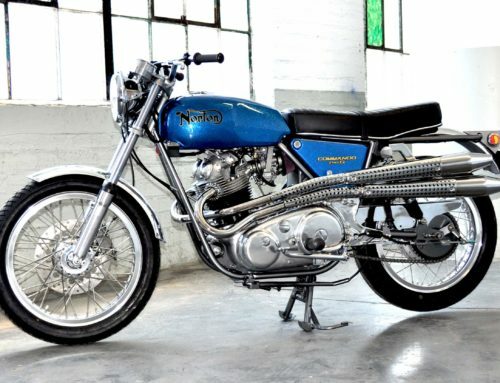 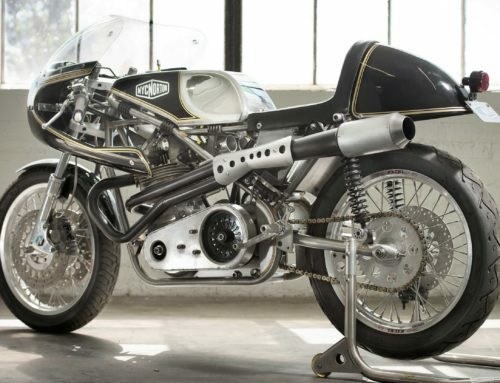 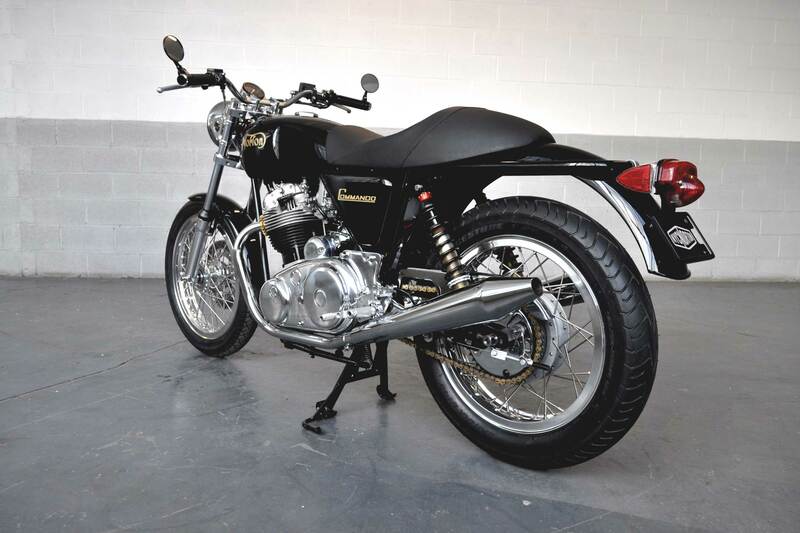 This NYC Norton 850 Commando is a work in subtle styling; keeping the bike dressed as a fairly stock Commando while implementing a multitude of reliability and ergonomic mods, putting it on the top shelf of any NYC Norton build. 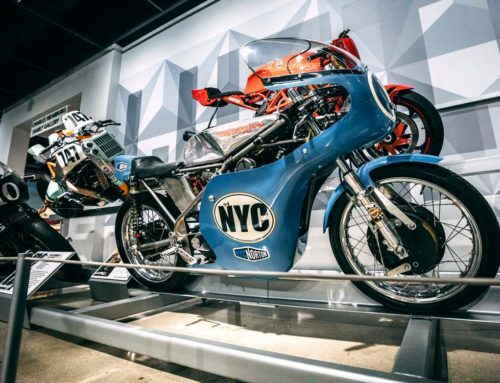 Some features of this beauty: Motor and gearbox with the complete NYC Norton rebuild, chassis was checked for straightness, all new vernier Isolastics fit, NYC Norton swingarm mod, oil tank mod, hydraulic clutch, Keihin FCR carbs, 520 X-Ring chain conversion, etc. 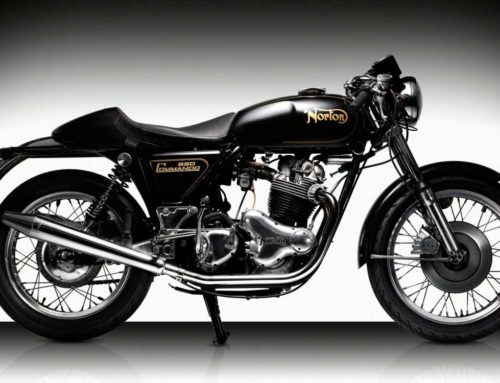 NYC Norton Commando Rearset Kit, NYC Norton fork yokes, front forks fit with cartridge internals offering full adjustability. 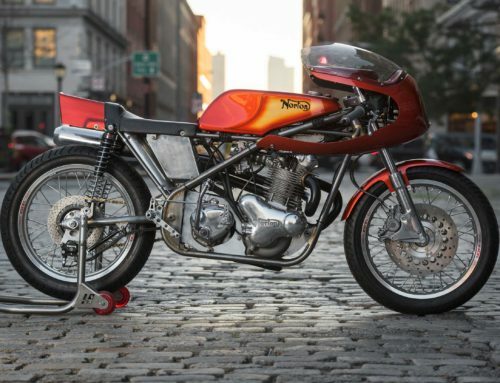 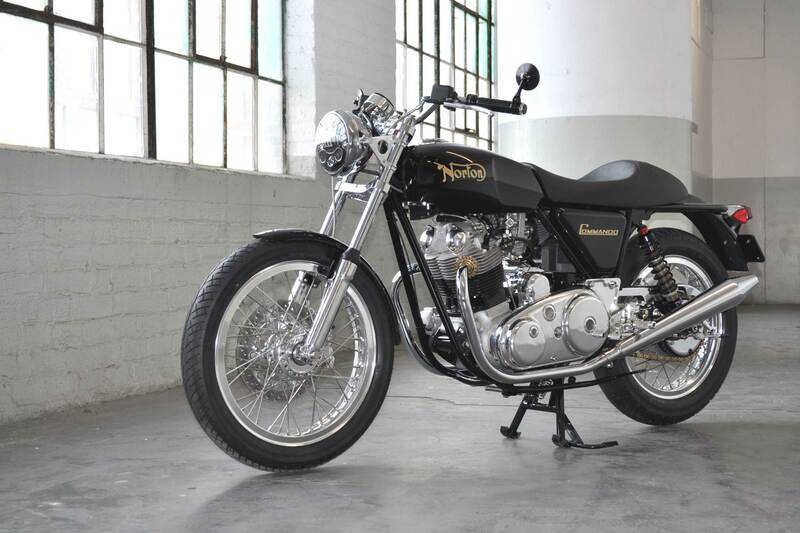 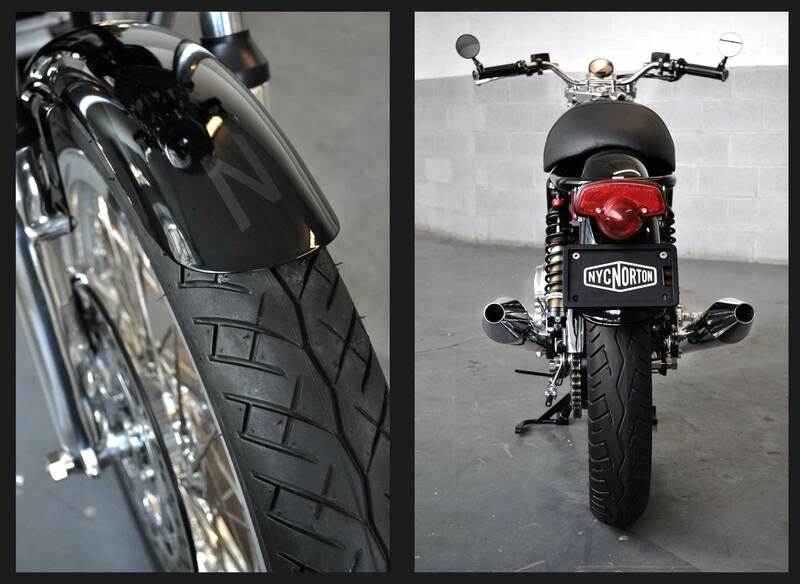 NYC Norton’s own design rear shocks with Ohlins components and full rebound dampening. 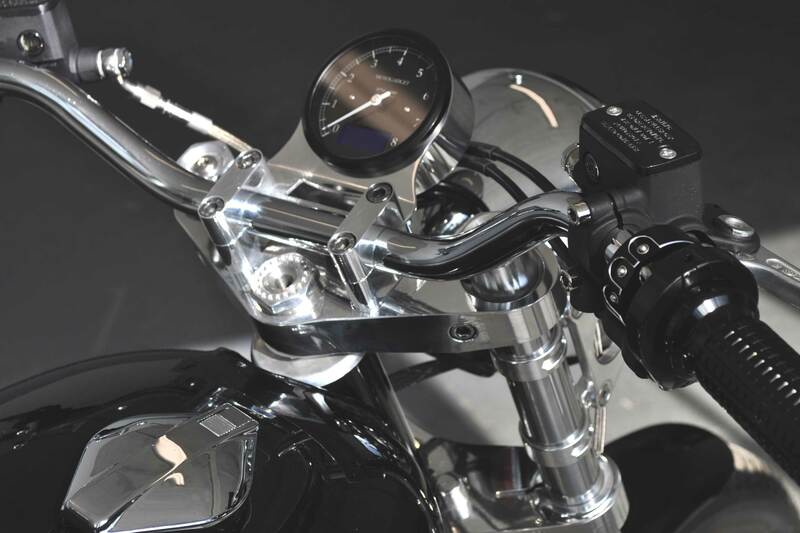 Polished alloy rims, stainless, spokes, polished hubs. 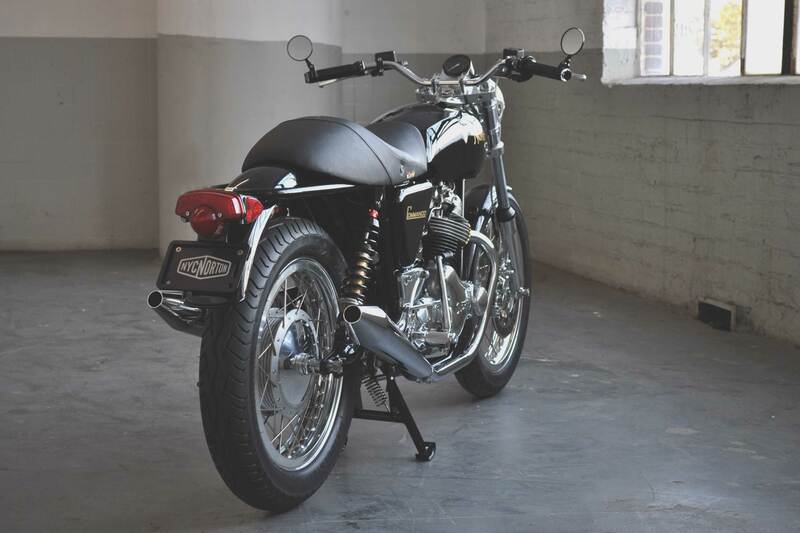 CNW front brake and electric start. 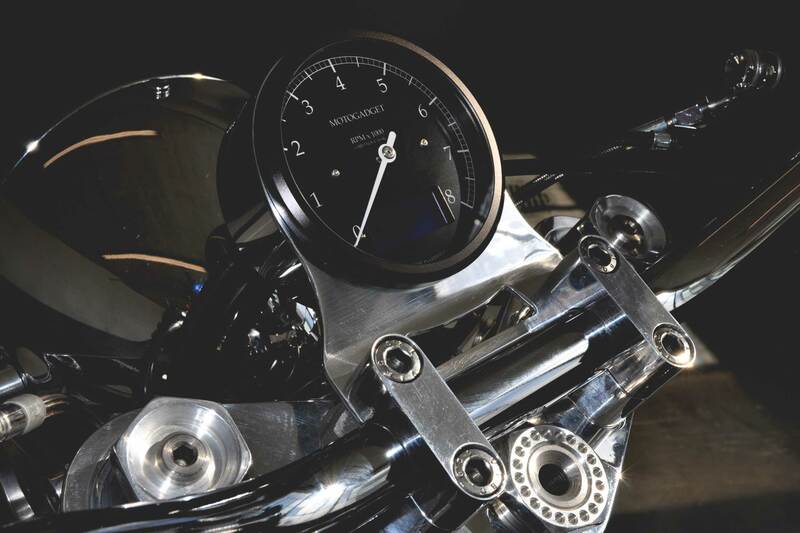 Custom wiring run to M-Unit bluetooth central hub, with MotoGadget gauge and indicators. 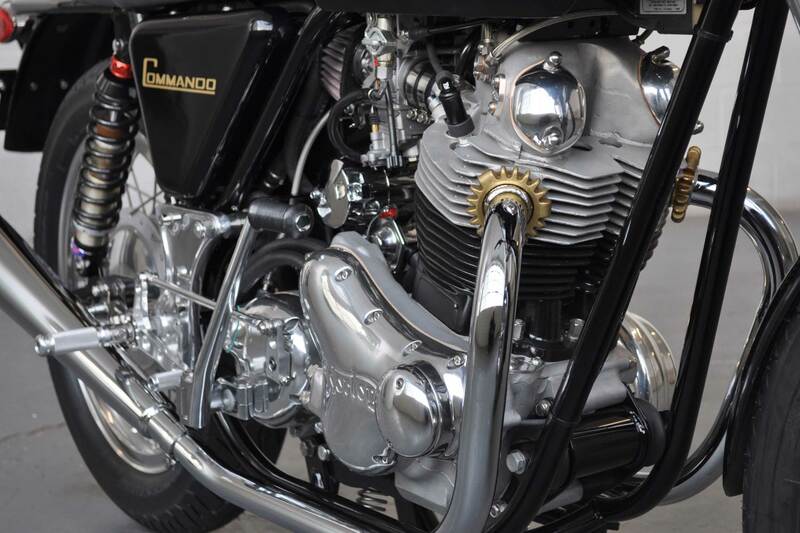 Polished stainless fasteners throughout.